Toyota has extended its lead over its Asian rivals in Europe because of hot-selling models such as the Yaris. 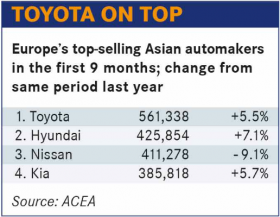 Overtaking Toyota to become the top-selling Asian automaker in Europe has long been the aim of Nissan and Hyundai. Reaching that goal, however, has become a lot tougher as Toyota finds its stride with new models and its hybrid offerings. Nissan briefly rose to No. 1 when it passed Toyota in 2015 with sales of 603,000 in Europe, according to data from researchers at LMC Automotive. But by the next year, Toyota was back ahead. Nissan has not come close since. Hyundai, meanwhile, aims to overtake Toyota by 2021. Kia says being Europe's best-selling Asian automaker is not a target. Even beating sister brand Hyundai is no more than "a healthy curiosity about who's best," Kia Europe Chief Operating Officer Emilio Herrera told Automotive News Europe. If Kia's and Hyundai’s sales were combined the automakers would already be No. 1 in Europe, but the Korea brands want their sales counted separately. Measuring which brand is actually ahead is one problem. Hyundai uses the geographical definition of the European industry association ACEA, encompassing the European Union plus those countries in the European Free Trade Association: Iceland, Liechtenstein, Norway and Switzerland. Through September, ACEA's figures showed Toyota had a commanding lead with sales of more than 560,000. During the period Hyundai moved ahead of a slumping Nissan at 425,854 versus 411,278. Kia was fourth with 385,818. Honda, Mazda and Suzuki were much further back. Toyota and Nissan, meanwhile, include Russia in their European sales as well as their respective premium brands, Lexus and Infiniti. Using that definition, Toyota said it amassed 1.1 million sales in 2017, while Nissan quoted sales of 762,574. For Toyota, Nissan and Hyundai are not even in the race. 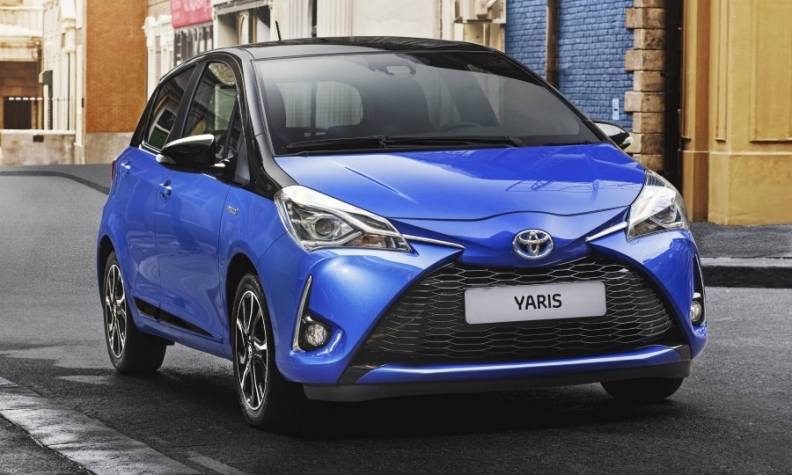 "We're just not focused on it," Matt Harrison, Toyota Europe's head of sales and marketing, told Automotive News Europe on the sidelines of the Paris auto show last month. "If you look at our competitive set and our strengths, it's not a point of reference. If we're obsessed with anybody, it's probably VW, historically." 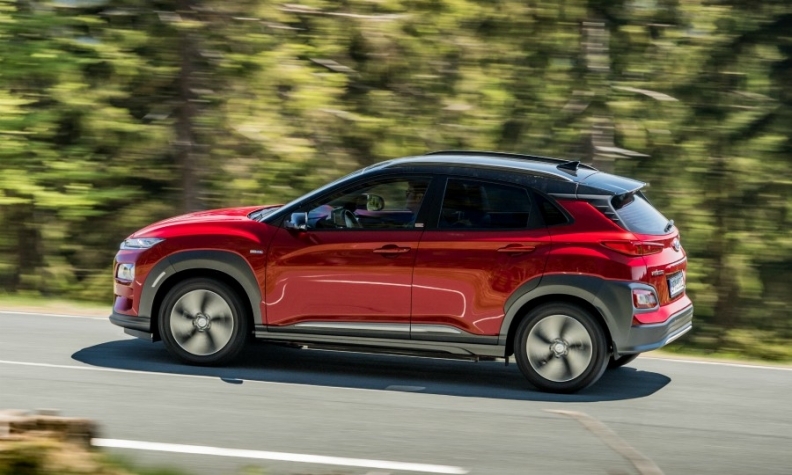 Hyundai has passed Nissan for second place among Asian brands in Europe because of strong demand for the new Kona small SUV (shown). Toyota's hybrids have found favor with European buyers as diesel demand falls -- its hybrid share is up to 46 percent of overall sales. The Japanese automaker now hopes to boost sales with new models. Harrison admits the company is underperforming on SUVs at about 25 percent of sales and wants to improve that to 40 percent, which is where Hyundai and Kia are currently. Toyota is expected to unveil a small SUV next year to compete in one of Europe's hottest sectors -- one that Hyundai and Kia both joined recently with the Kona and Stonic, respectively. The Kona, for example, helped lift Hyundai's SUV share of its total sales to 38 percent at the end of August from 33 percent in 2017, nearly all of that from its best-selling vehicle, the Tucson, according to data from JATO Dynamics. Kia's SUV split is also 38 percent so far this year. Nissan, on the other hand, is at saturation point with SUVs with a share of 73 percent in 2017, thanks to the class-leading Qashqai. As a measure of how important the Qashqai is to Nissan, August sales totaled 21,671. Nissan's next best-selling car, the X-Trail midsize SUV, sold 6,501 units, according to company data. Nissan has been slow to replace the Juke subcompact crossover, a segment-defining vehicle whose decline contributed to a sales slump of 9.1 percent through September, according to ACEA figures. A new Juke is expected to be shown next year. Nissan has struggled in traditional car segments. In June it stopped selling the Pulsar, a compact launched in 2014 to try to boost sales in the company's bid to become the No. 1 Asian maker. "It would be difficult if you haven't got a compact hatch," former Nissan executive Colin Dodge said in 2012. The company also does not compete in the minicar segment, where Toyota, Hyundai and Kia all successfully market cars. Nissan has also seen a change of management at the top of its European operations, with Chairman Paul Willcox replaced this year. One competitor who declined to be identified reported that heavy pressure to shift cars within Nissan's dealer network has relaxed since Willcox's departure. The company confirmed that becoming the best-selling Asian automaker in Europe was still a "rolling target" without a definite achievement date. Hyundai is also not pushing too hard, Europe Chief Operating Officer Thomas Schmid told Automotive News Europe at the Paris show. "We won't be overambitious in our behavior," Schmid said. "If you look to the cost of developing new technologies and the brand, it's very dangerous just to go and push." Schmid also warned about falling sales if the UK leaves the EU next year without a trade deal — an area of vulnerability for Nissan and Toyota, both of which have factories in the UK. For LMC Automotive, Toyota's lead looks unassailable in the midterm, and it will be at least 100,000 sales ahead of second-place Nissan in the five years between now and 2023 based on EU plus EFTA sales, the company forecasts. From Toyota's predicted finish of 742,000 this year, LMC forecasts a slight rise to 773,000 by 2023, while Nissan improves from its 2018 dip of 576,000 to 652,000. LMC thinks Hyundai will not improve much from its 2018 forecast of 546,000, while Kia actually will lose sales over the same five years — from 501,000 in 2018 to 482,000 in 2023, LMC predicts. Said David Oakley, LMC's European analyst: "We don't foresee any great changes. Toyota will most probably remain in the lead."